This article explains the CODESOFT error message “The restore value ” is not in the list. The restore value has been adjusted to “00”” and details how to fix the underlying problem that caused it to appear. 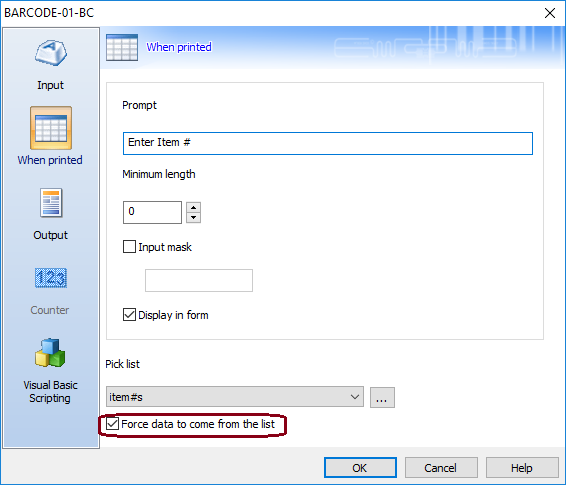 When using the Pick list function in CODESOFT, you have the option of forcing the user to use the pick list or allowing them to enter data not on the list. 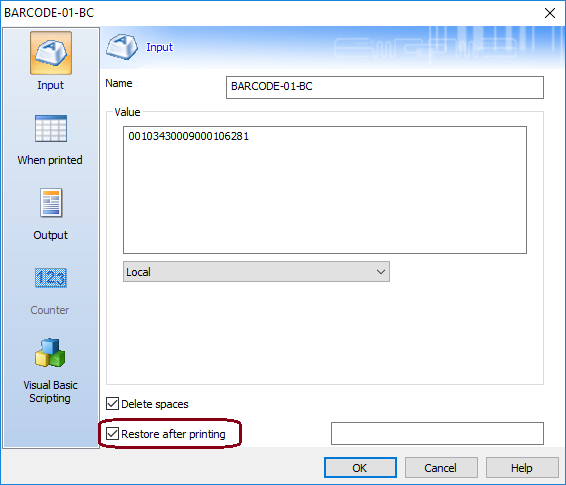 Additionally, you can require CODESOFT to reset or ‘restore’ a default value after printing. If the default value entered as the ‘restore value’ is not in the selected pick list for that When Printed field, the error message will appear and it will force a value from the pick list to be entered into the field. Either add the restore value to the pick list or change the restore value to match data on the pick list. With “Force data to come from list” checked, the restore value MUST match one of the pick list values.